Alexa-enabled devices nationwide are now equipped to play audio content downloaded through Audible.in. Audible, the world’s largest creator and distributor of audiobooks and other spoken-word entertainment, is now easier than ever for Indian customers to sample and enjoy. Audible.in, the company’s dedicated offering for India, is now compatible with Alexa, the cloud-based voice service. Downloaded content from Audible.in can be played across any Amazon Echo device or Alexa-enabled speakers using simple voice commands. 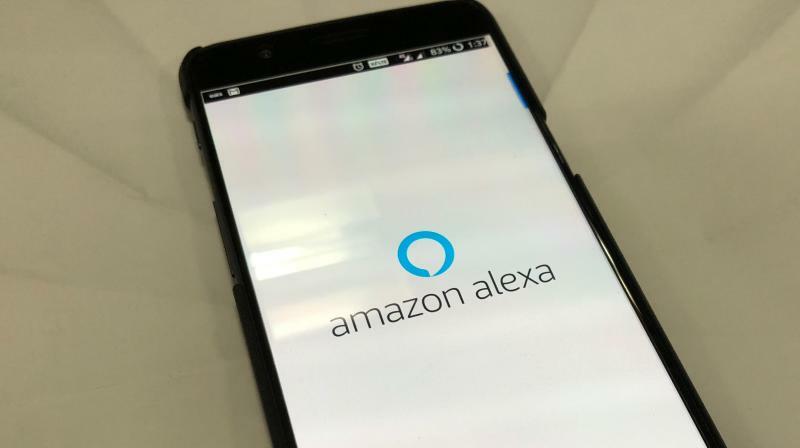 Customers can now listen to their Audible library across devices – on Android or iPhone phones and tablets, Alexa-enabled smart speakers or and computers – allowing multiple ways in which they can enhance their daily routines through audio entertainment. Alexa will now play audio content you downloaded from Audible.in’s broad selection of over 200,000 full-length audiobooks and original programs, including a curated selection of 400 Audible-exclusive titles by leading Indian authors. In addition to the launch title and multi-cast performance of the best-selling Mafia Queens of Mumbai brought to life by Bollywood stars Rajkummar Rao, Radhika Apte, and Kalki Koechlin, other titles available for listening in our amazing selection include The Last Boy to Fall in Love, an original audio-first title by Durjoy Datta, exclusive audio performances of Gurudev Rabindranath Tagore’s greatest works, including Gitanjali and Kabuliwala, contemporary non-fiction by Rashmi Bansal, Shashi Tharoor, Rujuta Diwekar, and Pooja Makhija, popular fiction by Preeti Shenoy and Savi Sarma, mythological stories by Amish, Anand Neelakantan, Devdutt Pattanaik, Ashwin Sanghi, and Vineet Bajpai to name a few. As a limited time launch offer, there are some titles which Alexa users can enjoy for free. All customers have to do is say: “Alexa, what’s free from Audible?” and Alexa will list out the titles that one can listen to for free, which include Great Stories for Children by Ruskin Bond, Alice in Wonderland by Lewis Carroll, My Hanuman Chalisa by Devdutt Pattnaik, How to Stop Worrying and Start Living by Dale Carnegie and The Last Boy to Fall in Love by Durjoy Datta. Customers can also control the Audible playback experience by saying “Alexa, stop/resume,” “Alexa, rewind/fast forward,” “Alexa, go to the next chapter/previous chapter,” and “Alexa, rewind/fast forward 5 minutes” etc. Customers can access Audible’s library of global content and membership benefits by signing up for a complimentary 30-day trial at the Audible.in site, which entitles them to any Audible book of their choice. Amazon Prime members can access a special 90-day trial, including three free audiobooks, at Amazon.in/audible. A premium Audible membership costs Rs 199 per month following a 30-day free trial. Members receive 1 credit a month, which can be used to redeem any title (1 credit =1 audiobook) from the library of over 200,000 available titles. Audible members also receive a 30% discount from non-member prices on additional audiobooks purchased, as well as access to exclusive sales and content. Audible also offers three prepaid plans: 1 month @Rs 299, 6 months @Rs 1,345 (25% discount) and 12 months @Rs 2,332 (35% discount). Non-members can purchase audiobooks a la carte.